Sometimes called “waterless cooking”, nishime is a traditional Japanese method of long-steaming vegetables with very little water and a little kelp. The dish is warming and strengthening, both desirable in the throes of this polar vortex. 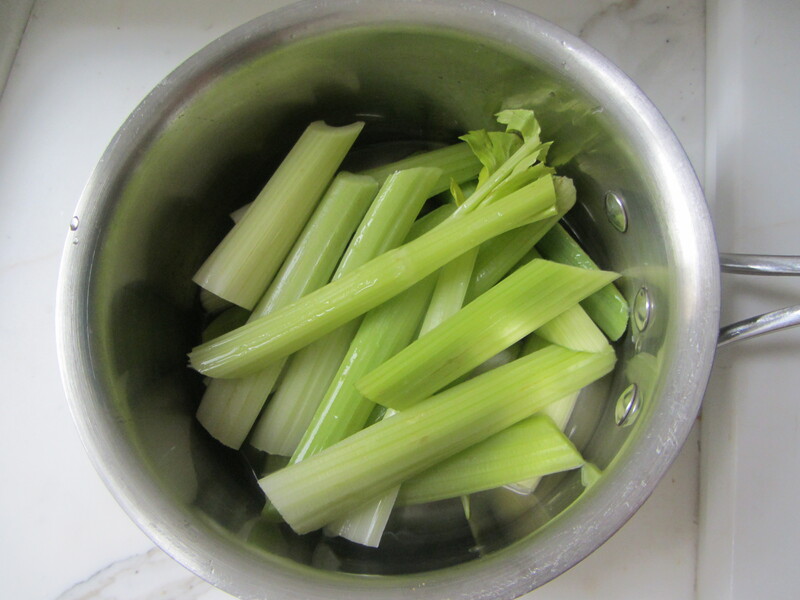 Process Wash the celery stalks well. 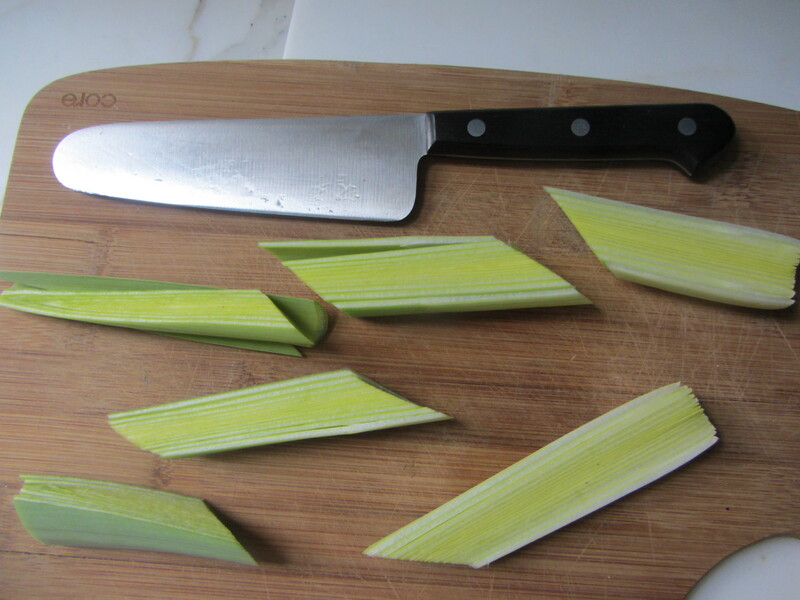 Cut the leek in half and wash each half separately, carefully checking in between each layer. 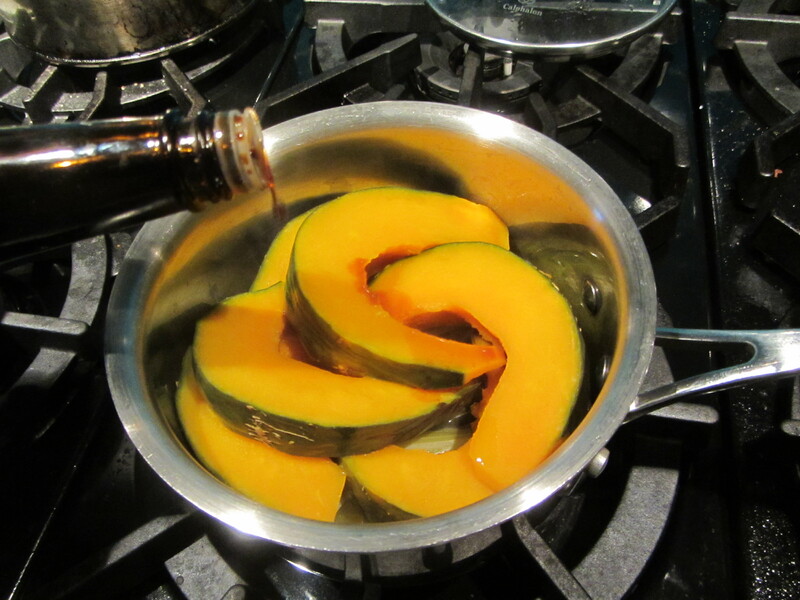 Rinse the skin of the kabocha squash. Place a very small amount (about ½ inch) of water in the bottom of a small to medium sized heavy-lidded pot. Add the kelp. Cut the leek into 3-inch-long spears. Place the leek pieces in the pot, arranging them over the kelp. and layer them over the leeks in the pot. 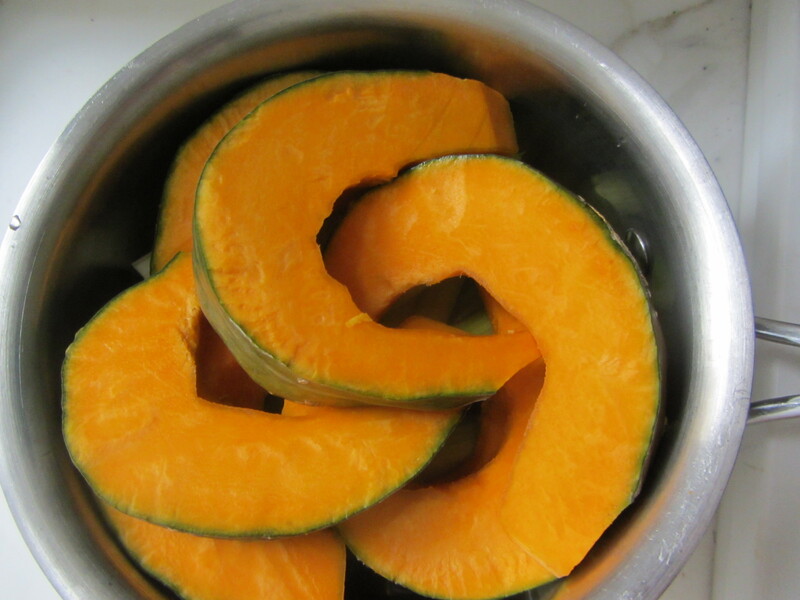 Remove the seeds from the squash. 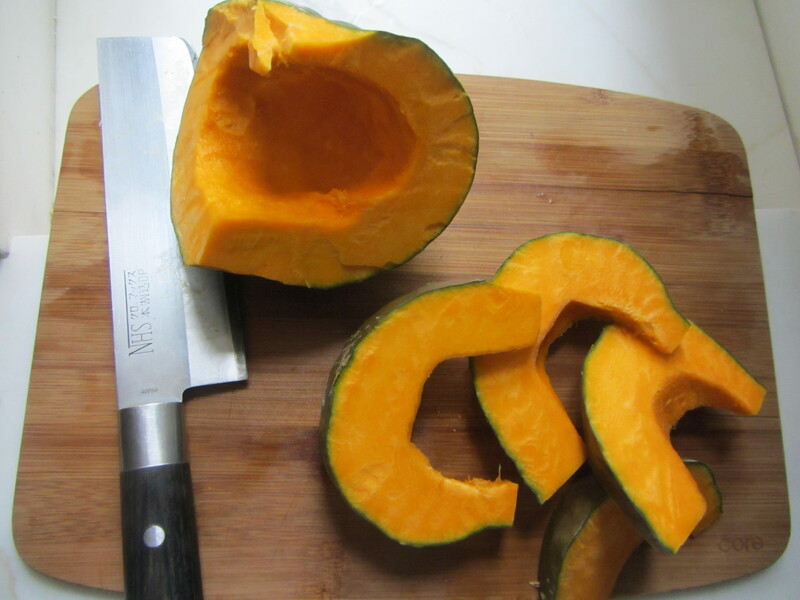 Cut the kabocha squash into thin wedges: you will have about 5-7 pieces. 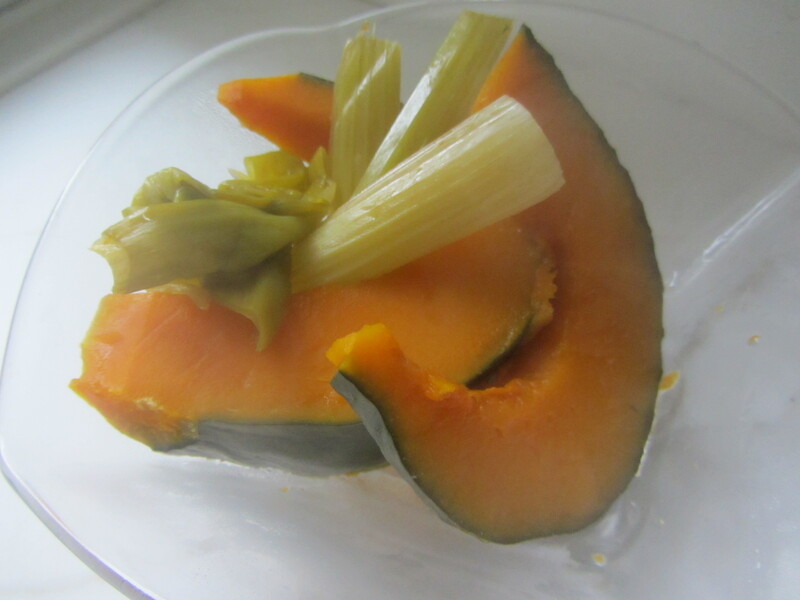 Place the squash on top of the celery, fitting the pieces in snugly. Cover the pot and cook on a medium flame. When steam begins to be visible coming out of pot lid, lower the flame and simmer the vegetables, covered for about 25-40 minutes, or until the vegetables are all soft. Add the soy sauce, distributing it evenly around the pan. Cover again but this time shake the pot and all of its ingredients firmly and briefly; then cook the dish on a very low flame for another 5-10 minutes. Remove from the heat and arrange the vegetables in individual bowls. Wash a kale leaf, remove tough end of spine. Slice the leaf on a cutting board and then chop what is left of it on a cutting board. 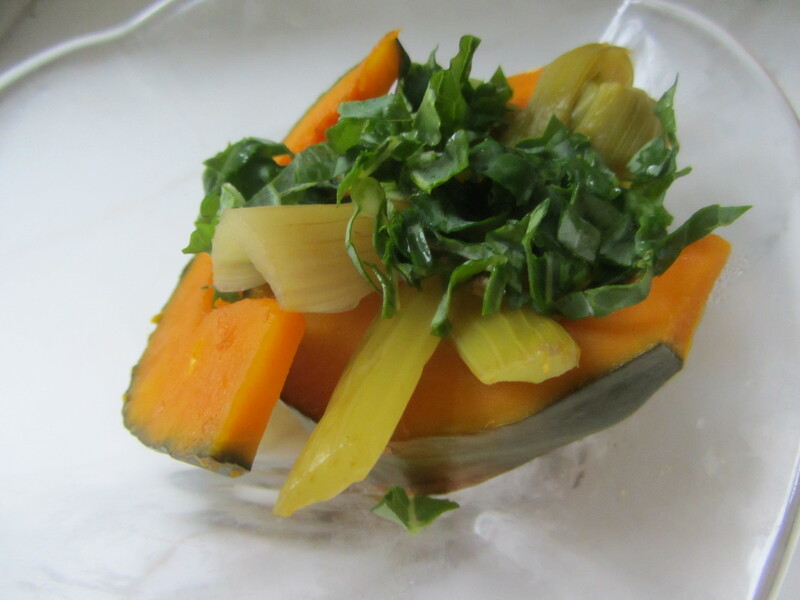 Sprinkle the chopped raw kale on top of the soft veggies and serve. The kale will wilt slightly, from the heat of the cooked vegetables.